THE INTERNATIONAL BESTSELLING SENSATION Most new businesses fail. But most of those failures are preventable. 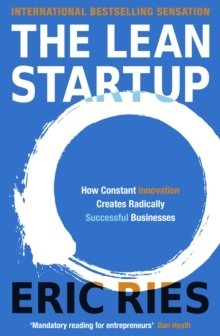 The Lean Startup is a new approach to business that's being adopted around the world. It is changing the way companies are built and new products are launched. The Lean Startup is about learning what your customers really want. It's about testing your vision continuously, adapting and adjusting before it's too late. Now is the time to think Lean.